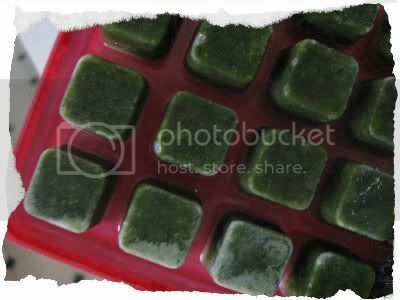 Frugal Creativity: The Coolest New Product! (Sorry about the sideways photos. The software is giving me fits today.) Until a few years ago, every summer, I would plant tomatoes and cilantro. I couldn't wait to make salsa. But invariably, no matter how much I pinched it back, the cilantro would go to seed before the tomatoes were ripe. 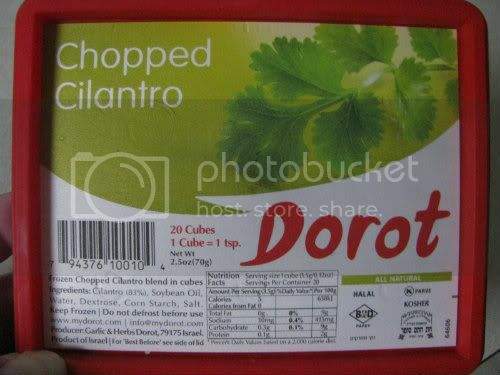 I don't purchase fresh cilantro from the supermarket because I don't use enough to justify the cost. I started making salsa without cilantro. 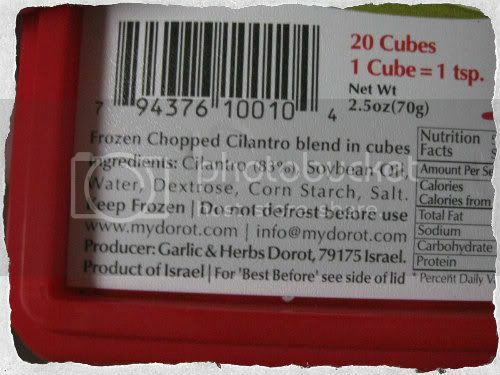 Frozen cilantro, in 1-teaspoon cubes, at $2.49 for twenty cubes. Brilliant. It has a few added ingredients (see the last photo), but I'm okay with them. Do you have a favorite new--or new to you--product?